If you think you know Midwest-based Berghoff Brewery, you may want to take a second look. Owner Ben Minkoff has been working over the past year to revive the 126 year old brewery, from the recipes to the brand message. Minkoff consulted with brewing experts Randy Mosher and John Hannafan to create the recipes for the top-notch German-style beers. They broke down the elements of each recipe and reformulated based on modern brewing techniques to give them individual personality and character. Randy Mosher, an acknowledged craft beer expert and accomplished designer contributed to Berhgoff’s new packaging and brand messaging. His goal was to fulfill the promise that the brand's heritage was supposed to be all of these years. "I wasn't reinventing the wheel here. I was putting the wheels back on the wagon and helping the brand be what it wants to be by reviving its heritage," says Mosher. He began by locating the original, pre-prohibition Berghoff labels through beer label curator, Bob Kay. Mosher turned the clock back even further, exploring what the brand would have looked like if it had been bottled in much earlier days. 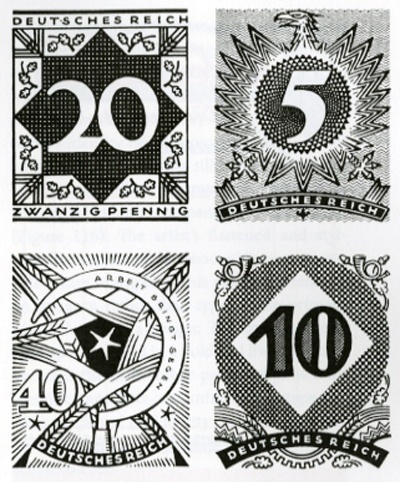 He was inspired by German typographer Max Hertwig, who's style he refers to as "the sweet spot". Hertwig's 1920 era work in particular combines the richness of gothic black lettering, calligraphic techniques and a touch of modernism. Mosher used this approach when creating the typography seen on the new Berghoff label designs. "Many of the original US breweries did not survive because they were essentially all making the same product. The only real difference was how well they could sell and market their product and how cheaply they could produce it," says Mosher, who was excited for the opportunity to work with a brand that has such an "iconic stature." "Berghoff is a proud and confident brand with deep rooted Midwest history. Chicago needs an old-school beer brand with character." Berghoff will debut its lineup of new beers this Thursday, June 20 from 6 p.m. until 9 p.m. with a festive Launch Party at Sheffield’s (3258 North Sheffield Avenue, 773-281-1350). Berghoff aims to capture a larger audience of beer lovers with its revamped product and this Launch Party is an opportunity for discerning Chicago beer lovers to sample their new recipes firsthand. Sir Dunkle Crispy Dark Lager (5.5% ABV), smooth and malty, with a bright crispness, making a drinkable and very satisfying beer. Berghoff will also introduce the first beer in its Überbier Series, Germaniac Extra Pale Ale (6.3% ABV), brewed with honey and molasses, it will be a briskly hopped extra pale ale patterned after the old “outlaw” beer style, Kottbüsser.